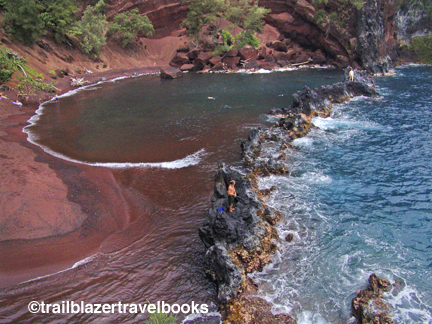 This striking cove is scooped out of a towering red cinder cliff, protected by the jagged teeth of a black-rock reef that is just offshore. 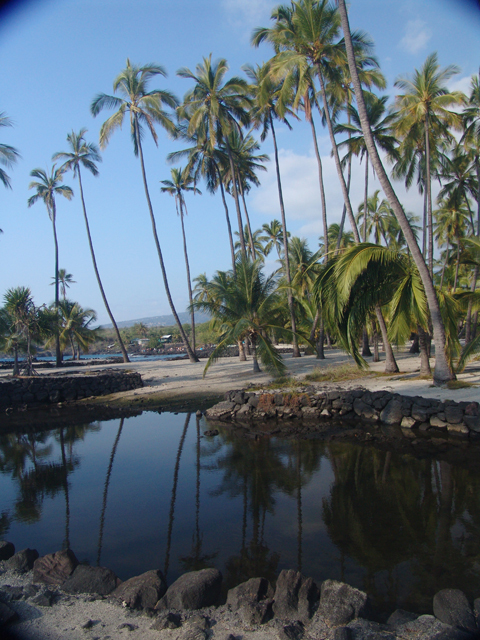 Although the trail to this beach is used frequently by the public, it is on property belonging to Hana Ranch. 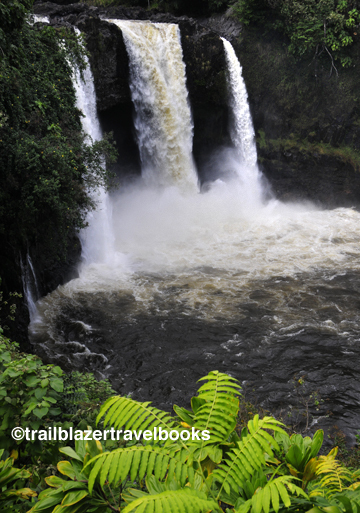 For more beach activity and hiking options in the area, go to Trailblazer Hawaii or consult the Trailblazer Travel Book guides.